Who can apply and what's expected. College students and recent graduates in the area, across North Carolina and around the country are encouraged to apply. While sports and motorsports management degrees are increasing in popularity, there is no course of study that is required for internships and all will be considered. Applicants are expected to be motivated and be willing to work a minimum of 20 hours a week including nights and weekends during events. Please review the event calendar on our website and check your availability. 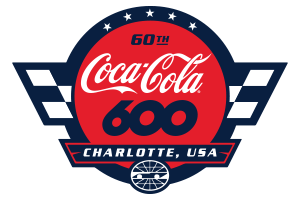 Interns are expected to be available for all Charlotte Motor Speedway Events. Those accepting an offer for an internship position who live out of state or a great distance from Concord, North Carolina will need to cover all expenses of relocation to the area. Number of Internship Positions Available. CMS has no set number of internship positions but has had as many as 16 interns at a time. The numbers will vary depending on need and the strength of applicants. Interviews and hiring. After the application deadline, applicants may be called for an initial telephone interview by the coordinators of the internship program. Application materials of eligible applicants will then be circulated to the various departments at CMS, which, at their discretion depending on their needs, will set up and conduct interviews with select applicants. Orientation for Interns. After an applicant accepts the offer of an internship, he/she will be asked to sign a simple statement of agreement that, among other things, sets forth the intern's understanding that the internship is not paid and does not guarantee or imply future employment; in addition, it includes a covenant of confidentiality. Interns are also asked to provide us with emergency contact information and fill out a tax form in the event they are paid the Semester Stipend (explained below). Semester Stipend. Internships are unpaid positions at CMS. However, as a token of gratitude, all interns who complete the semester internship and work the race events held during the semester internship will receive a stipend. Intern Responsibilities. The daily responsibilities of interns will be established and supervised by the respective departments in which the interns work. School Credits. Some interns will seek or be required by their schools to get academic credit for completing an internship. While the CMS employees will be available to work with interns to secure the necessary authorizations for such credit (including necessary communication with the colleges), it will be the responsibility of each intern to arrange for the completion of all necessary paperwork to certify course credit.